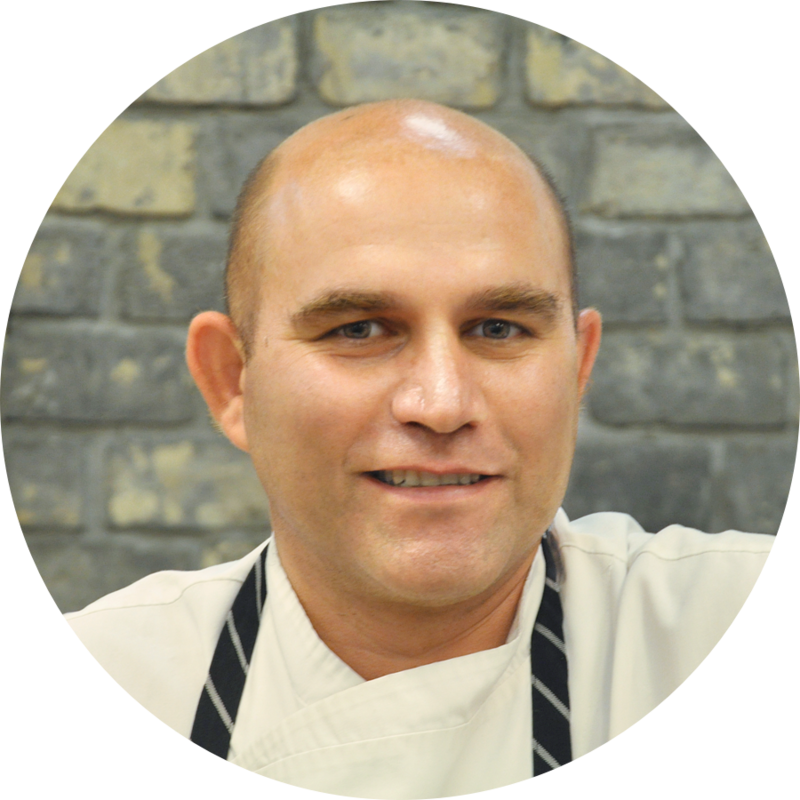 ‍What I love about my job is that I get to cook food all day, play with state-of-the-art technology and help shape the future of solid-state cooking, a revolutionary technology in the kitchen. I’ve presented Goji’s oven to many people over the years and it’s hard to think of someone who wasn’t amazed. Though people often compliment my cooking, I always attribute the results to the unique Goji technology that powers my ovens. Many food products and cooking processes can benefit from RF solid-state cooking by Goji. With Goji you can defrost quickly and evenly, bake pastries at a fraction of the time, roast meats or prepare fish to a sous-vide type quality, cook vegetables, seafood and multi-component dishes. It’s a game changer in the kitchen. 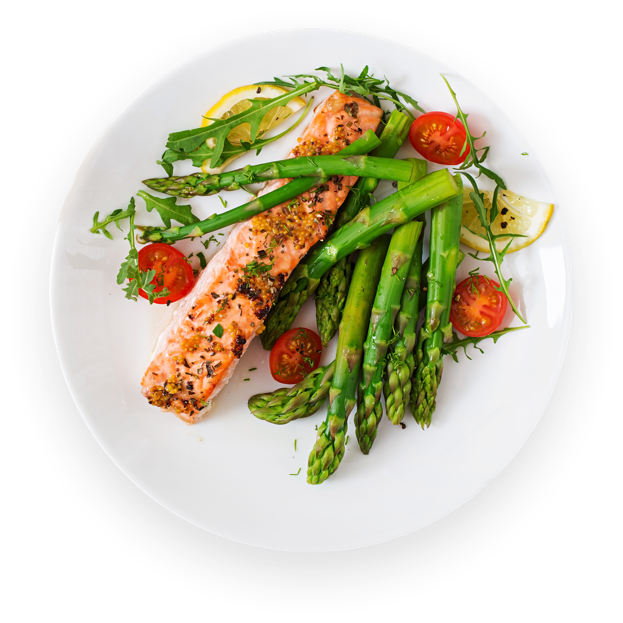 Goji’s technology can be implemented in a variety of ways, one of the most versatile applications for cooking being a Goji-powered convection oven. This type of ‘combi’ Goji oven offers all the features of a standard convection oven, plus the ability to significantly expand its cooking performance. When using the Goji oven, you can control the usual convection time and temperature to heat the food surface while using RF heating to elevate the internal food temperature to the desired level. When baking bread in the Goji oven, convection would be used to form the crust and RF heating to bake the product at the same time. In this manner, users can bake a loaf of bread in 10 minutes with the Goji oven, as opposed to 30 minutes with standard convection alone. The amount of browning is determined by the convection temperature and baking time. For a bread without crust, the convection can be turned down to 70-80°C, so that no browning occurs but heat is not lost in the cavity. For a thicker crust, the RF heating can be turned off at an earlier stage and the bread held in the oven for a few more minutes to allow the crust to continue forming. Inevitably, each user has their own preference. That’s why I would recommend that, for new dishes, the user checks the oven intermittently to determine whether more browning or more cooking is required, or both. 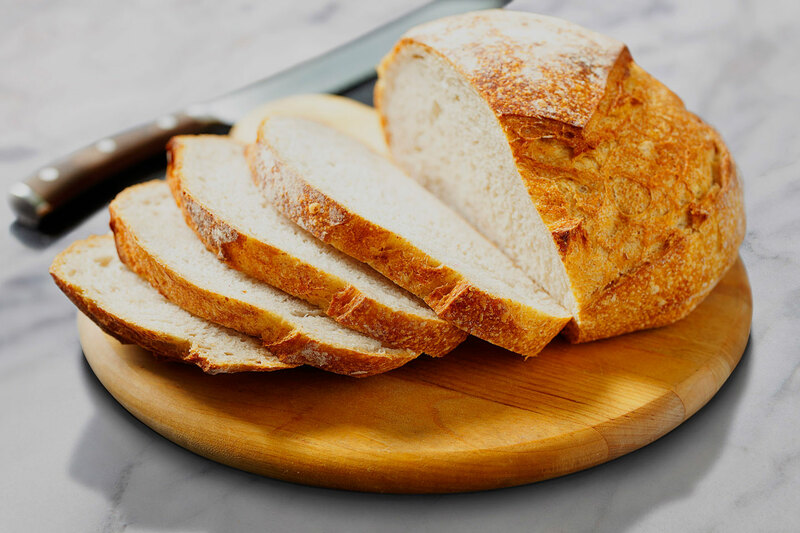 - Additional comments: This bread bakes in 30 minutes in a standard convection oven and the outer parts of the bread may dry out during the process. 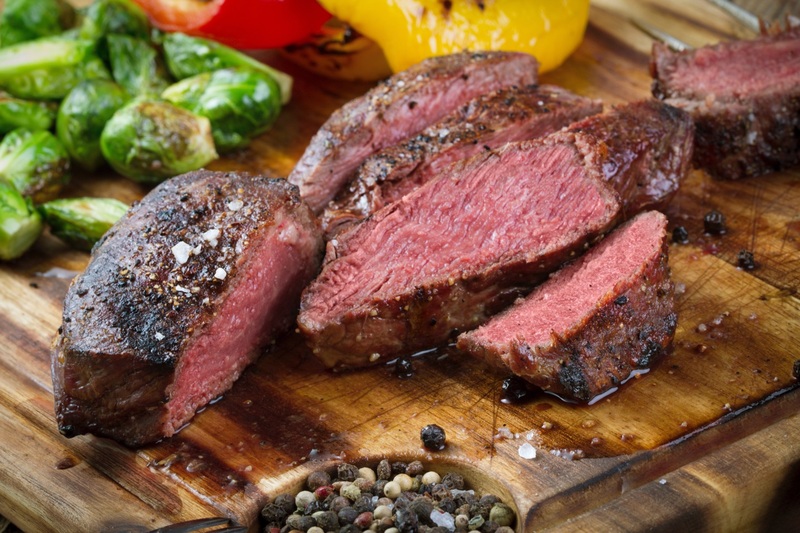 A perfect steak needs to be cooked evenly throughout, yet have a thin and even crust for flavor and visual appearance. Therefore, we use a preheated convection oven to help form the crust, while using RF heating to cook the steak to the preferred level. 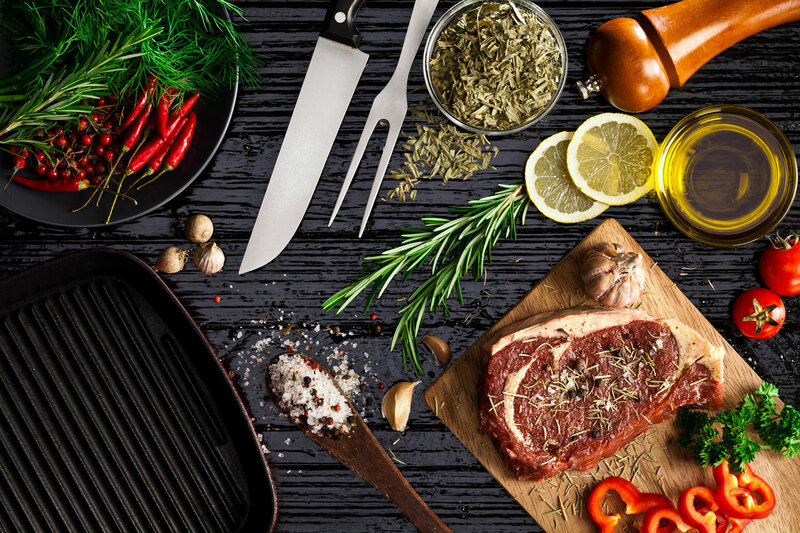 By relying on RF heat to cook the steak, we can shorten preparation time to 6 minutes, instead of holding the steak in a low temperature oven for 20 minutes to reach the desired cooking evenness. The amount of browning is determined by the convection temperature and cooking time, so if you want stronger searing, turn off RF heating but continue holding the steaks in the oven for a few more minutes to allow more caramelization. Preparing meat to rare, medium or well-done does not require a special process. My rule of thumb is to subtract or add about 2 minutes for each extra steak, and subtract or add about 2 minutes to reduce or increase the doneness by one level. - Additional comments: Cooking these steaks to this degree of evenness in a standard convection oven would take 20 minutes. If you were in a rush and had to cook the steaks in 6 minutes in a normal convection oven, the result would be some initial searing on the meat surface and a raw core, i.e. an uneven result. There’s an endless number of dishes that can be cooked in a Goji oven with excellent results in a fraction of the time. As an RF chef at Goji, I have been Goji-cooking for over ten years and am still blown away by the power of this technology and the impact it is bound to make in homes and restaurants. Do you have any questions about RF cooking? Feel free to drop me a message.